Salsa is nothing but dip in a Mexican style. It’s a unique remix of sauce and salad. It’s a good side dish for dosa, chapathi and bread toast. However it’s the perfect side dish for Nachos. 1. Peel the skin of the onion and chop it into very small pieces. 2. Wash and remove the seeds from the tomato. Then chop it into small pieces. 3. Wash and remove the stem of the green chilli. Cut it into small circles. 4. 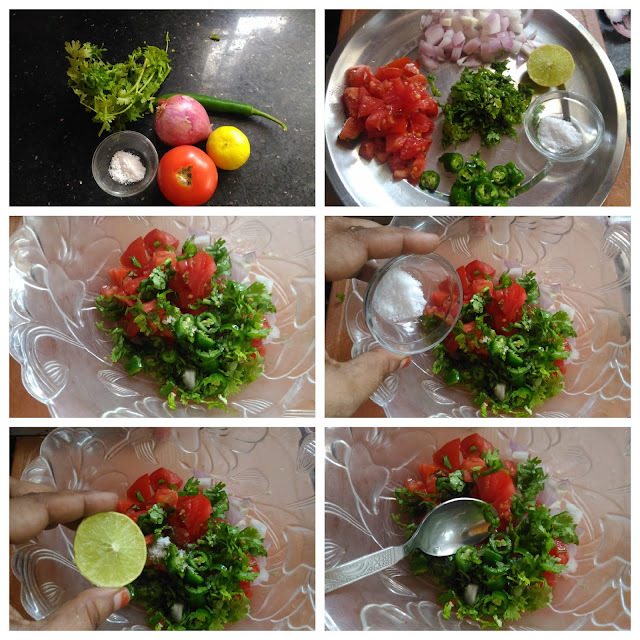 In wide bowl add chopped onion, tomato, green chilli, salt, chopped coriander leaves and lemon juice. 5. Mix them gently and leave it for 10 – 15 mins. 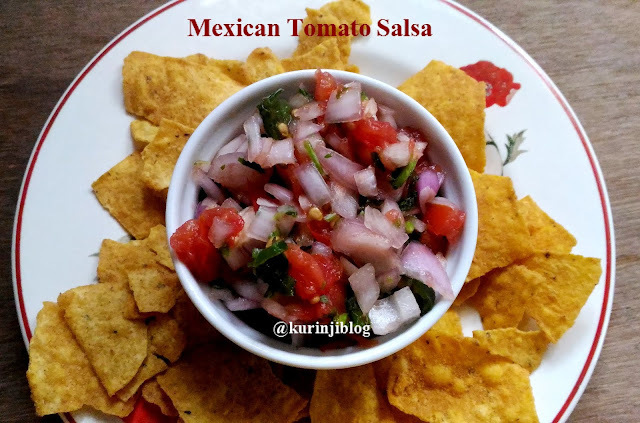 Tangy and delicious Salsa is ready to serve with everything. Especially served with Nachos. 1. 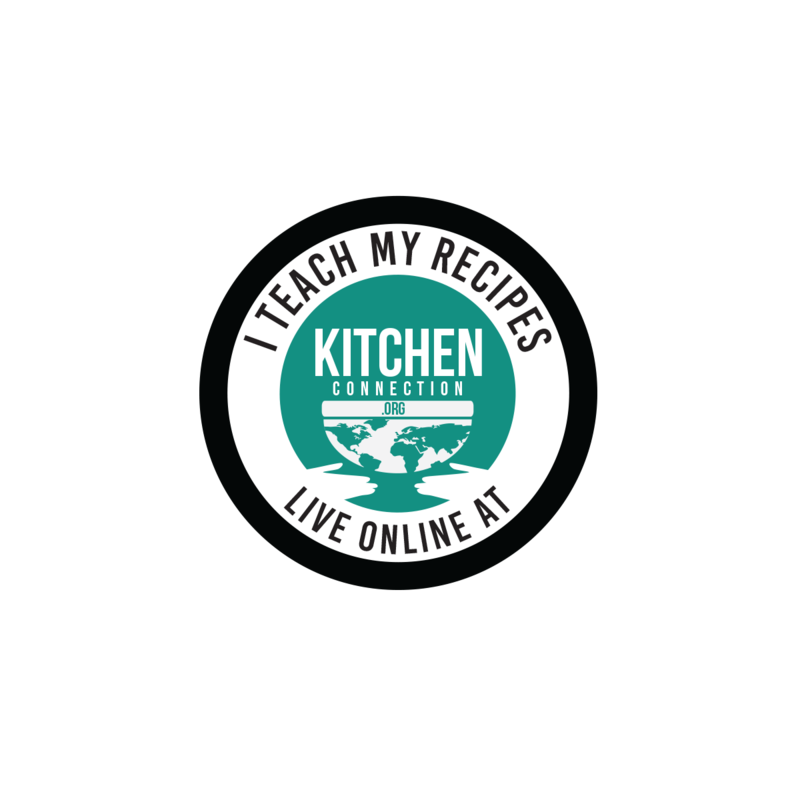 Adjust the red chilli level according to your spice level. 2. Adjust the lemon juice according to your taste.